Want a bright and jangly sound out of your 12 string acoustic guitar? Look no further than our Bright Brass 12 string acoustic guitar strings. Our Bright Brass is an 80/20 Bronze alloy that gives your acoustic guitar the present, punchy, articulate tone it needs to cut through any mix like a hot knife through butter. Equally suited to fingerstyle and picked techniques, this is the perfect choice for any player that requires a crisp, brilliant top-end, with an equally vibrant low-end. Want to customize? 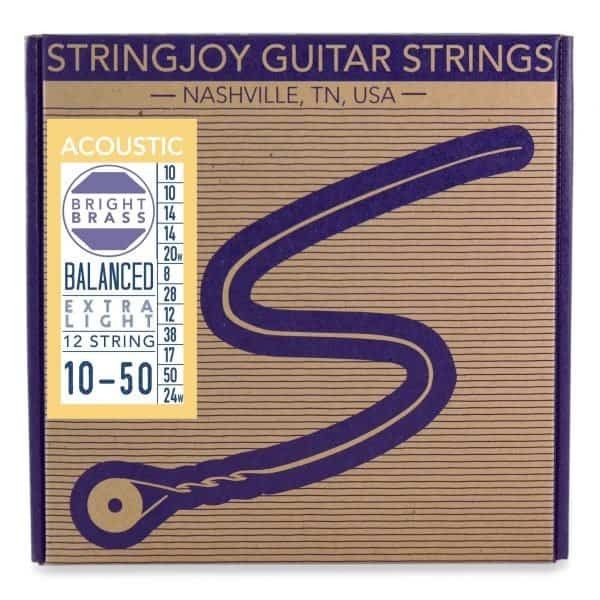 Check out our Custom 12 String Bright Brass Acoustic Guitar String Sets. >> William from Fond du Lac, DOUGLAS from Selah & 8 others bought this item recently. 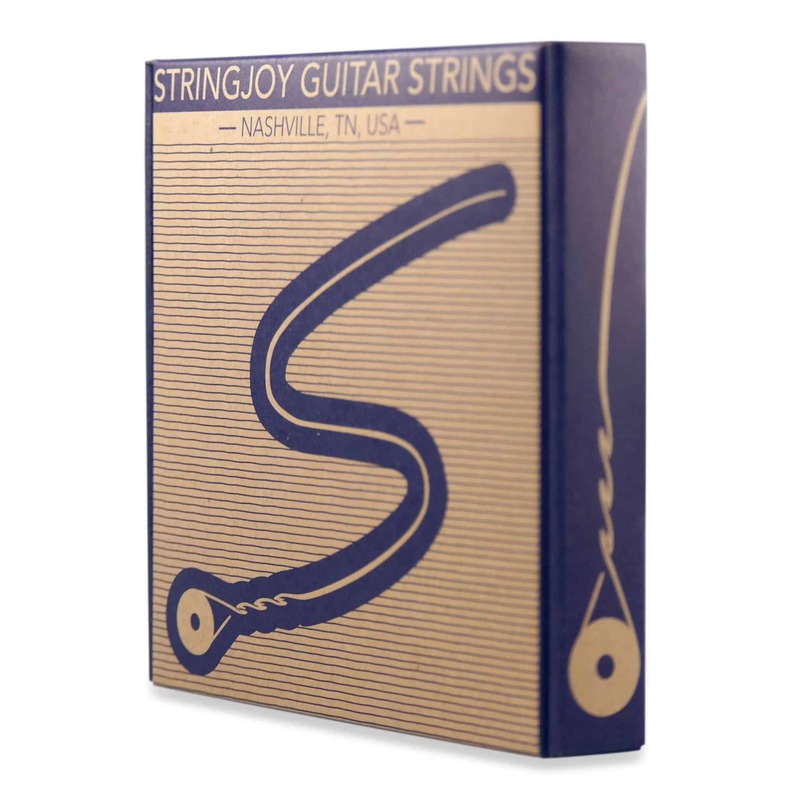 Stringjoy acoustic guitar strings are made by a small team in the USA, out of all American materials: top quality Natural Bronze™, wound around a high carbon hex-core steel wire.